If I consider that already ten people have downloaded yesterday's post (Bollywood Funk Experience), Psych Funk Sa-Re-Ga! should interest at least the same people. Behind World Psychedelic Funk Classics you can find Egon and the Nown Again crew. So this time, expect an Indian psyche funk music compilation that lives up to its name, with effectively a lot of funk, hard breakbeats and psyche in it. But don't expect it to be the kind of underground compilation that digged ultimate Bollywood nuggets. As you can read in the nicely illustrated booklet, this compilation serves as an introduction to the genre and in fact plenty of titles have already been compilated elsewhere, especially if you possess already the two volumes of the Sitar Beat serie (I posted them both a while ago at the beginning of this blog thing) or the excellent mixes called Shitala. 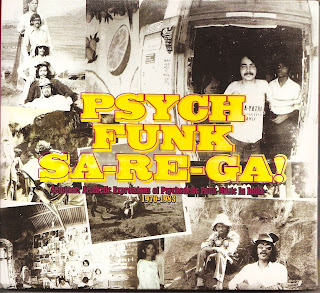 For those in the shadows of ignorance, Psych Funk Sa-Re-Ga! is the best way to grab a handful of Kalyanji Anandji or R.D. Burman titles. You can even find a title from Atomic Forest's Obsession '77, Mary Long, recently reedited by Now Again, and Kalus Doldinger's Sitar Beat. This last title has nothing Indian except its influences but is German. 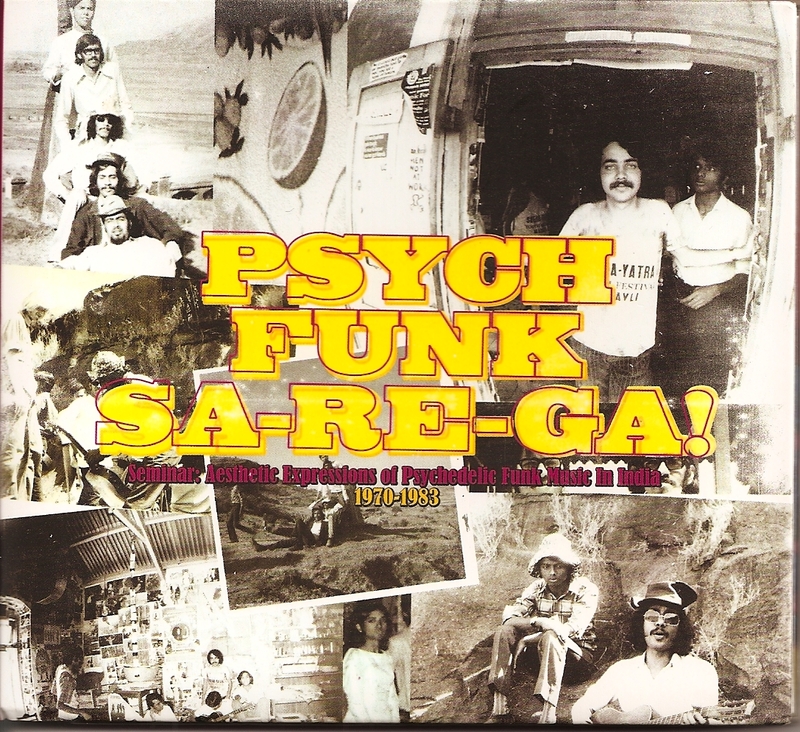 Download => Psych Funk Sa-Re-Ga!